The sunshine does my soul good! It’s been another glorious day here, sunny, breezy at times, and even warm! 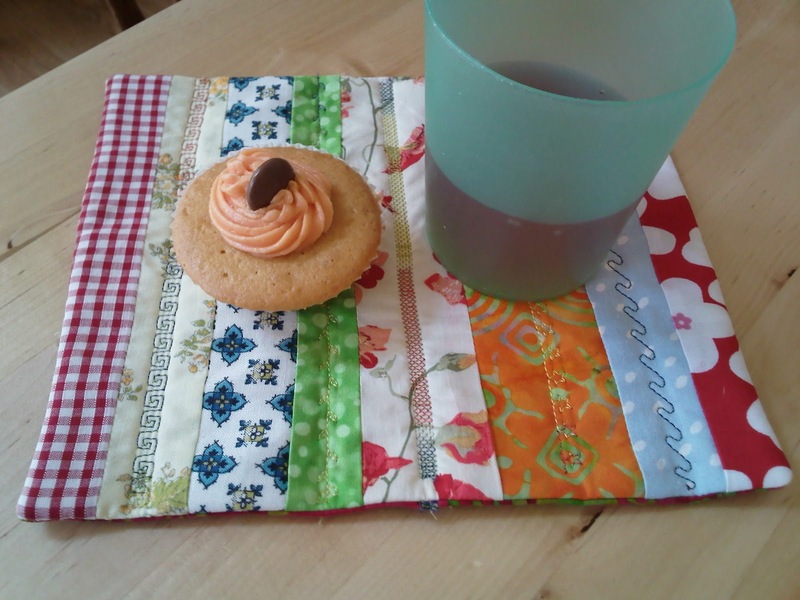 In our house today there has been cooking, cleaning, baking, sewing & gardening – and it’s still the afternoon! 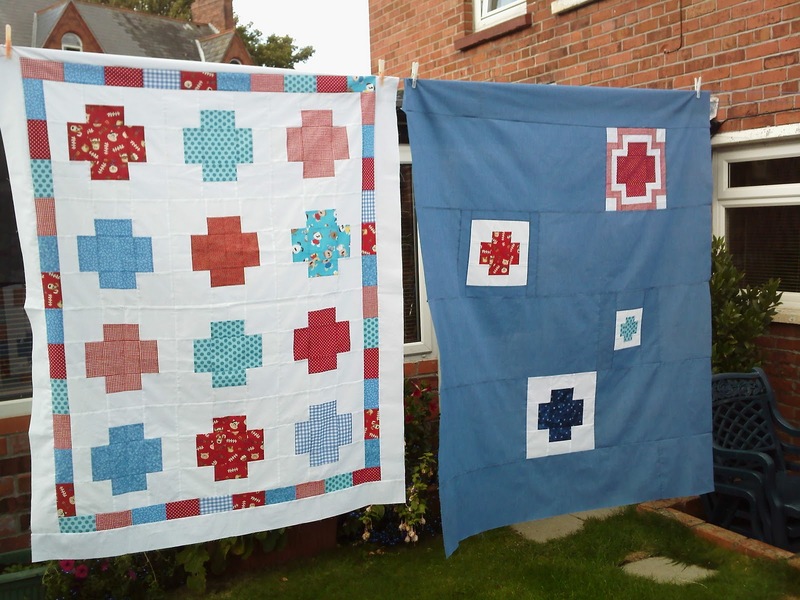 I got the back finished for my Across the Sea QAL cot quilt. I wanted to keep a wee bit of white around the crosses so they wouldn’t completely disappear into the solid blue. Although if I was doing the bordered cross again, I would have those outer white tips blue! Can anyone tell me why the back is so much bigger than the front? I know that Nicky found this the case too! Are we Numpty’s Utd, or is there a logical reason? 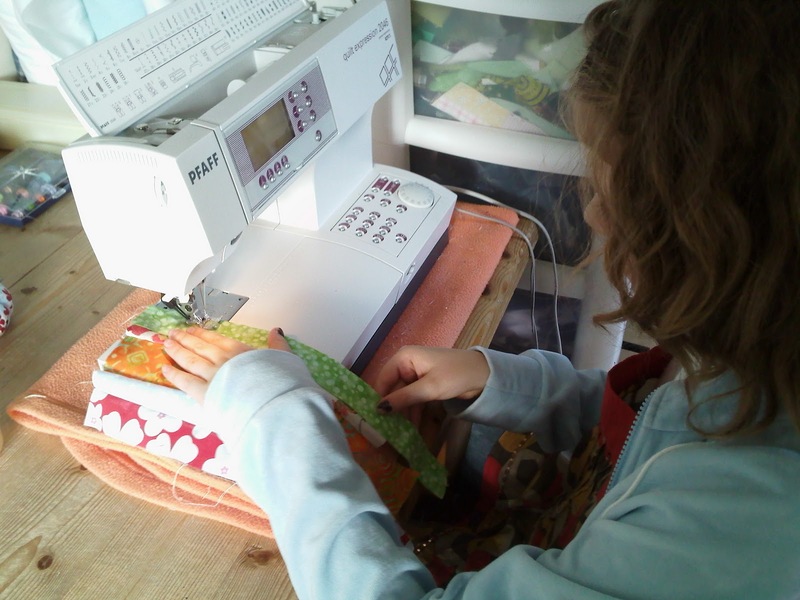 My youngest daughter (10) loves to sew and is a natural on the sewing machine. Under my supervision, she made this mugrug for herself, choose all the fabrics from my scraps, pieced it, & quilted it with a variegated thread, having lots of fun using Mr Pfaff’s more decorative side! The cupcakes were made today by my eldest daughter! 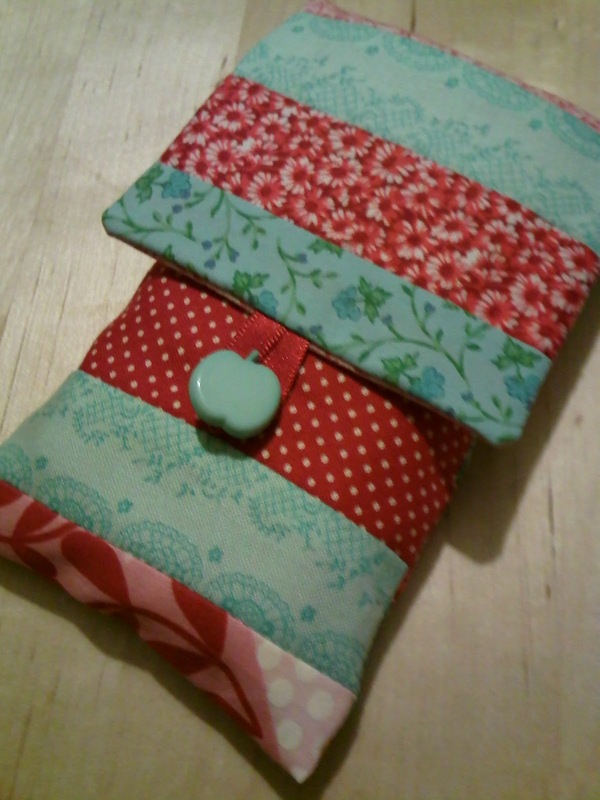 And I can now reveal who one of my Small Goodie Swap partners was, cos she opened her parcel from me today! Jan (Isisjem) got her parcel during the week and her mum hid it from her until opening day today! 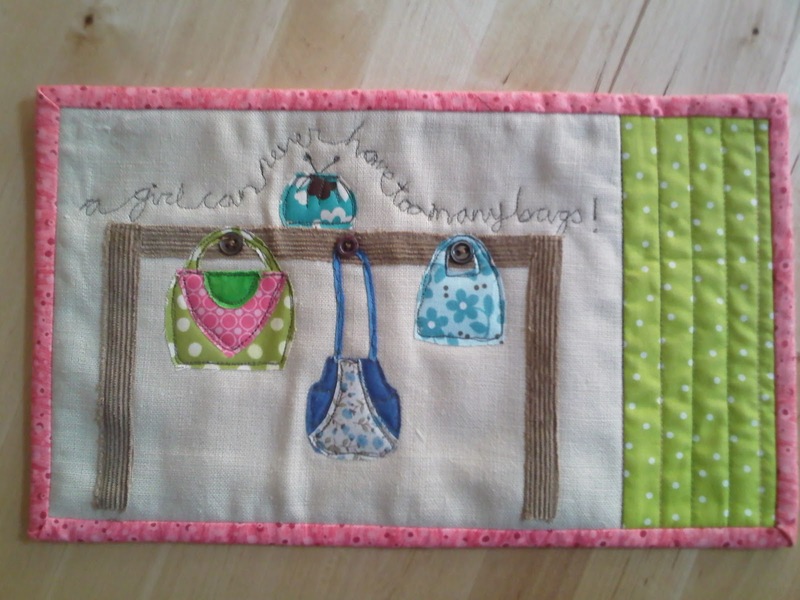 The blue handbag in the middle is based on Jan’s 241 tote bag that she made recently. Hop on over to the flickr group to see the full package that Jan received (my daughter made her a cupcake pin topper which was v.cute!). I hope you are having a great weekend, wherever you are! Ooops! Almost forgot to tell you that my Glorious Day today started with an email from Cindy telling me I’d won a Saffron Craig $25 voucher as part of Cindy’s Start Your Own Series. Thanks Cindy! If you’ve ever thought about starting up a wee business, check out Cindy’s guest blogger interviews – v.informative. Previous Previous post: Use Every Wee Bit!